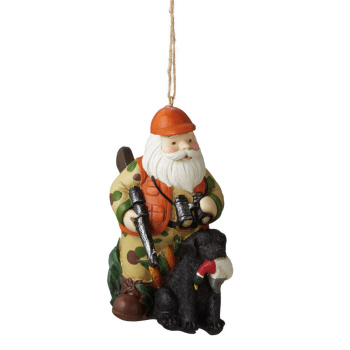 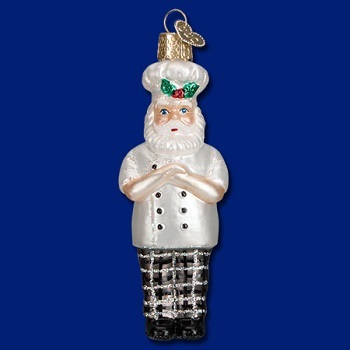 Are you looking for a new addition to your Christmas tree ornament collection? 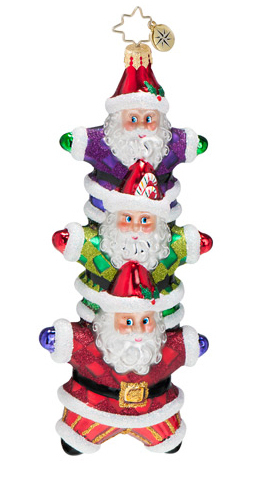 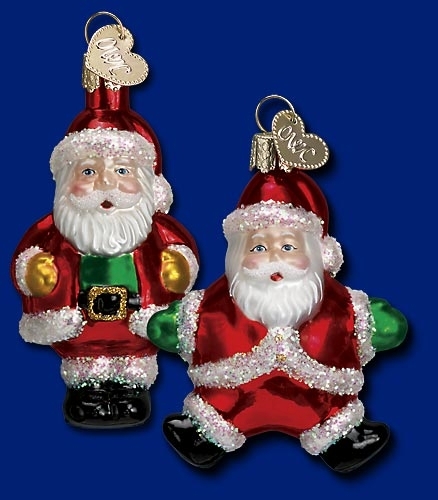 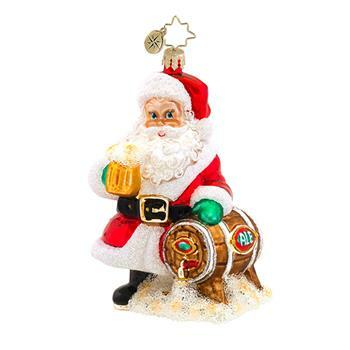 Browse our unique Santa head ornaments and Santa-themed European glass ornaments. 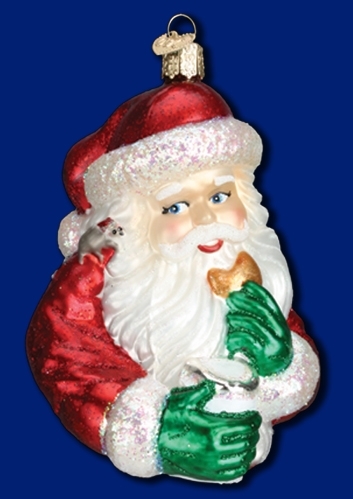 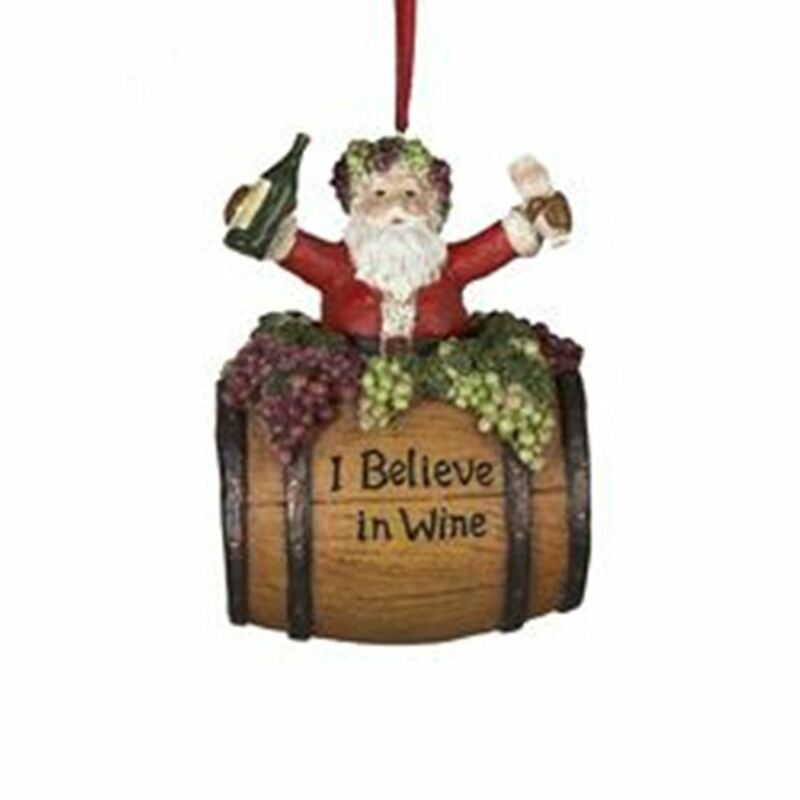 Christmas will be even more charming and colorful with these delightful vintage-style Saint Nick ornaments. 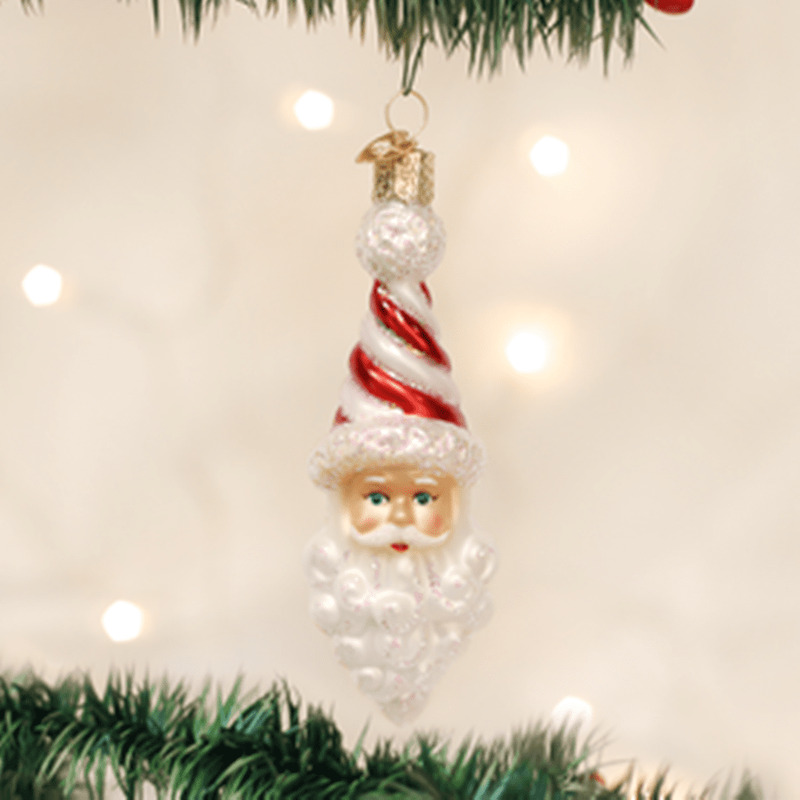 Decorating the tree is a time-honored family tradition, and these stunning Santa ornaments will become treasured keepsakes, bringing smiles every holiday season when they’re brought out once again. 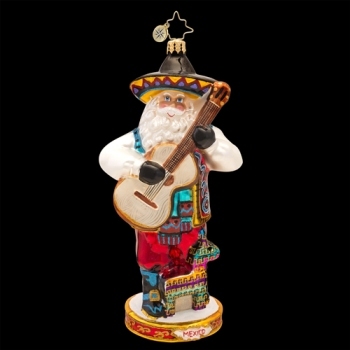 Christmas Ornament - "Santa's Hunting Partner Ornament"
Christopher Radko Glass Ornament - "Arm Full Of Joy"
Christopher Radko Glass Ornament - "Come Fly With Me"
Christopher Radko Glass Ornament - "Hoppy Holidays To You"
Christopher Radko Glass Ornament - "Popin' Claus"
Christopher Radko Glass Ornament - "Viva Mexico"
Christopher Radko Glass Ornament - "Double The Joy, Double the Fun"
Christopher Radko Glass Ornament - "Hitting The Slopes Ornament"
Christopher Radko Glass Ornament - "Star Bright Stack Ornament"
Let Santa Claus bring the holiday cheer to your Christmas tree festivities! 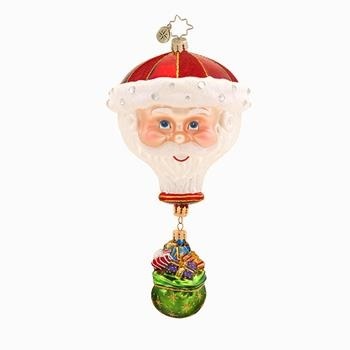 Santa’s jolly face and bounty of gifts is guaranteed to bring delight and joy to revelers of all ages and homey warmth to your holiday decor. 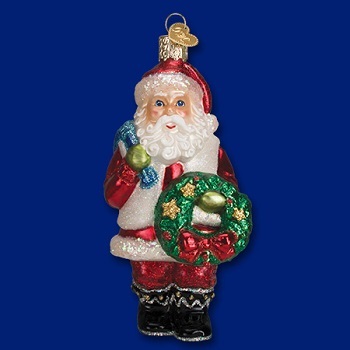 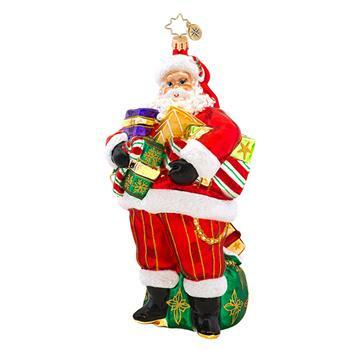 We offer a colorful selection of Santa Christmas tree ornaments from classic antique-style designs to a few that may be unexpected — but in a glorious way! 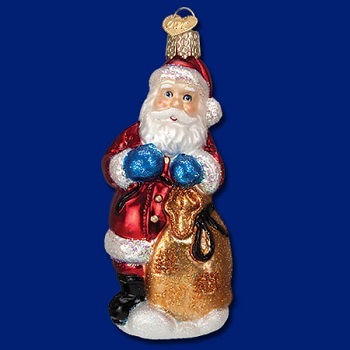 In most of the ornaments, Santa is dressed up in his customary bright red suit with white fur lining and merry cap with pom-pom. 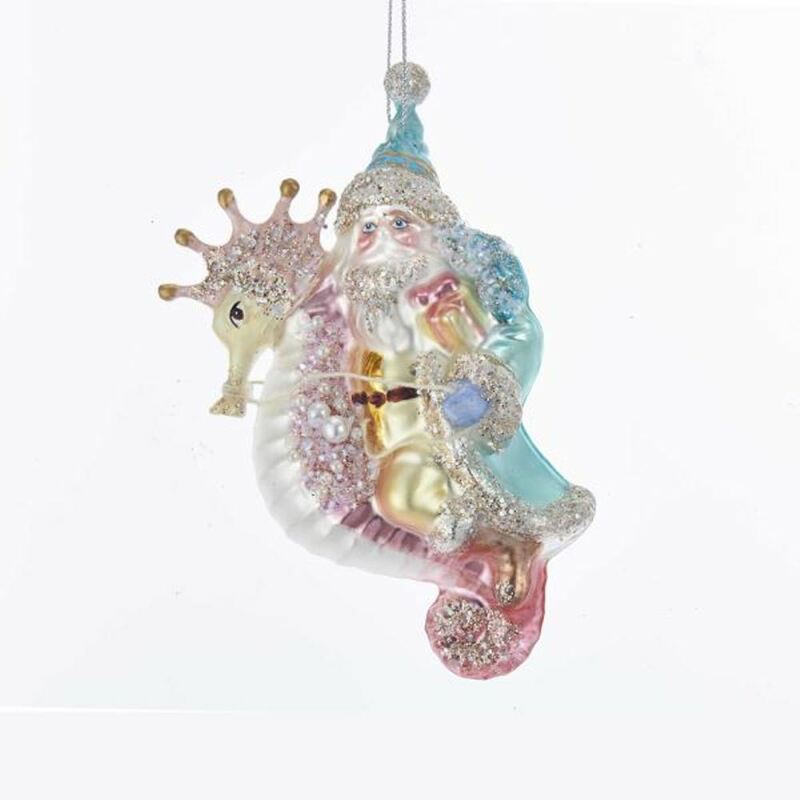 We’re proud to offer the highly revered Old World Christmas glass ornaments and equally admired, distinctive Christopher Radko glass ornaments. 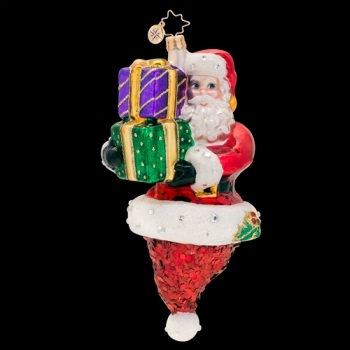 These glass Christmas tree ornaments are quite beautiful and highly prized by collectors. 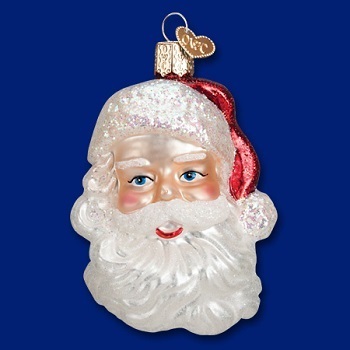 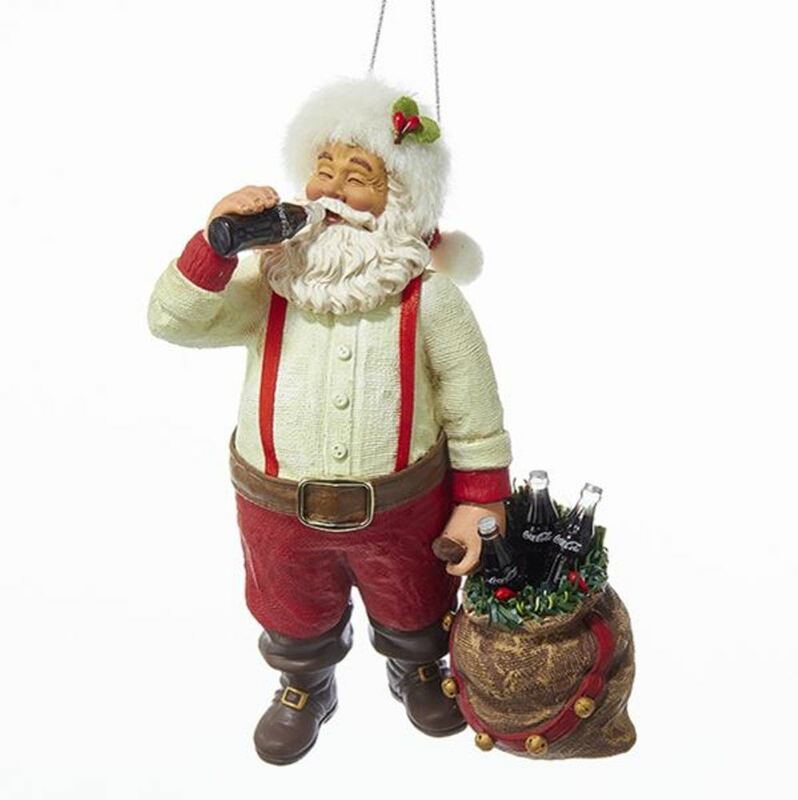 The Old World Christmas Santa ornaments are handcrafted by skilled artisans from hand-blown glass using time-honored techniques dating back to the 19th century, and then hand-painted to perfection. 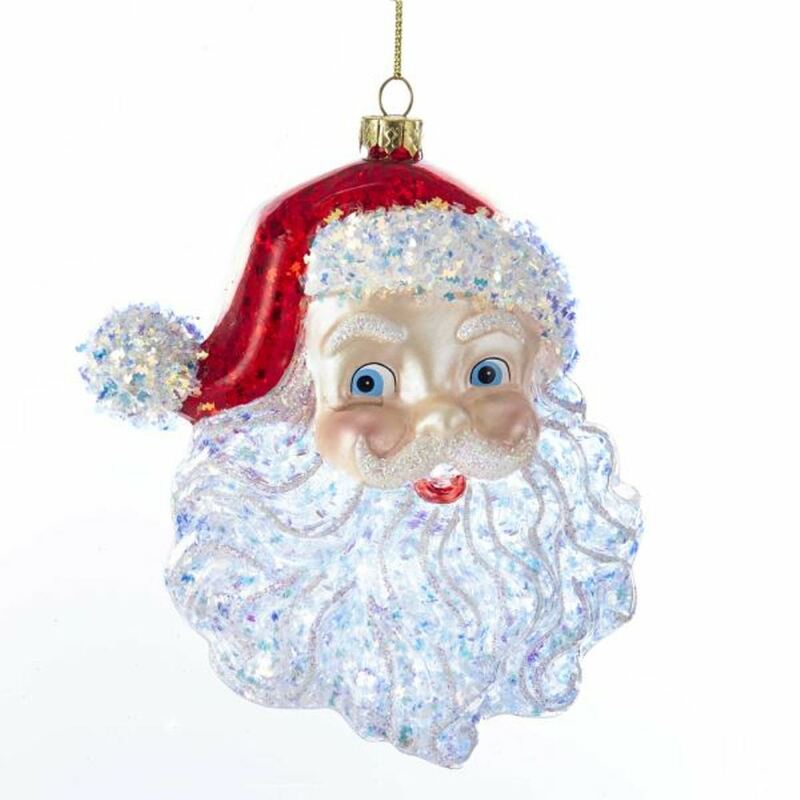 Christopher Radko glass Santa ornaments are also made with mouth-blown tempered glass and lined with sterling silver and hand-painted with added jewel-tone accents. 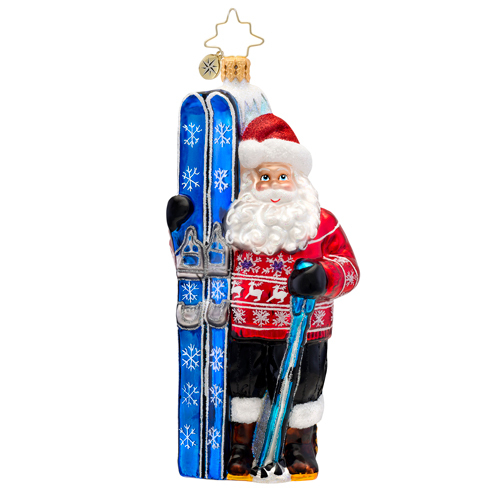 We offer a special line of theirs that partners handcrafted, festive ornaments with the spirit of charity and good cheer in these Christopher Radko charity awareness ornaments. 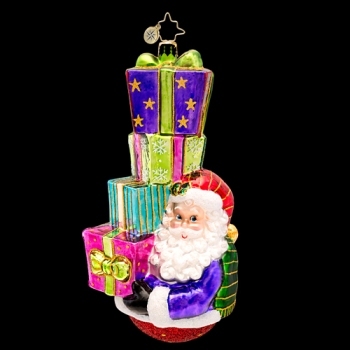 Every year, these two renowned companies unveil their new designs for the season, so visit us often for their latest artistic creations! 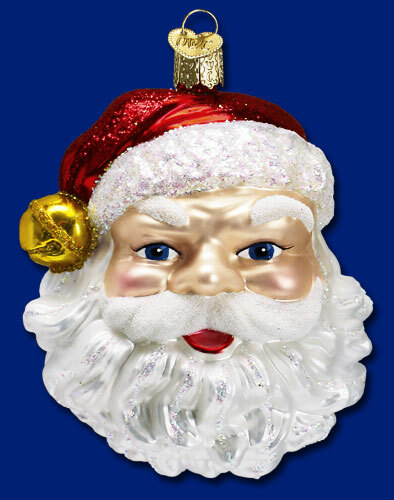 When you’re looking for holiday and other home decor that’s out of the ordinary, you can count on the Christmas Tree Hill family. 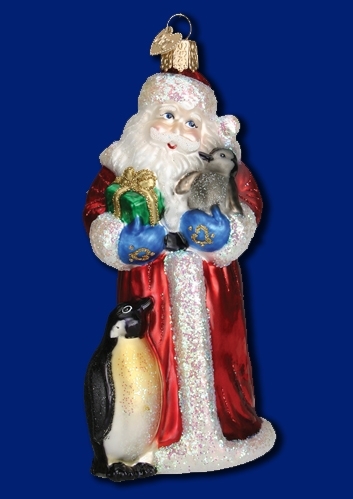 Since 1971, we’ve specialized in unique products for the home and garden, fashion and jewelry items, candles and fragrances, personal care products and holiday decor, providing our customers with the highest quality merchandise at a great value.